With the possibility of young Buzzards taking to the wing in the next few days it is quite easy to see where pairs have failed or disappeared in your area. 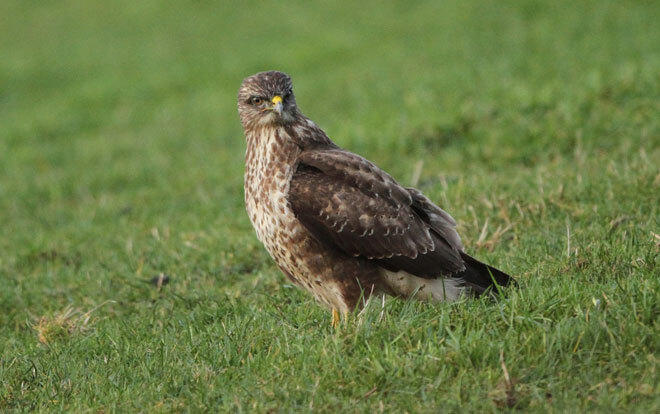 Sadly 2018 is going to be the year of the ‘disappearing Buzzard’ as many estates take the law into their own hands by removing Buzzards and other birds of prey to protect their Pheasants and Red legged Partridges. With most estates ‘buying in’ their poults this is the time when large amounts of grain suddenly appears in the countryside to feed these birds. Sure some farm land birds may benefit from this process if they have survived the industrialisation of the fields, and especially the hedgerows cut into thin layers with no protection from predators. But it is not just the small finches and buntings feeding here – rats. This is also the time when rats take over the countryside, especially coming to feed in and around the game release pens having already eaten most of the young finches and buntings from their nests. The rats find this grain a welcome food for the coming winter. No Buzzards or any other birds of prey to reduce this rat population. No Stoats, Weasels, Polecats, feral cats, Pine Martens or even Foxes. An estimate from London suggests that 1 million rats are removed from the city each year by the urban Fox. There is a saying, you are never more than a few metres away from a rat in our larger cities. No wonder pest controllers want rid of Foxes in our cities as the fox takes work away from them! Remember give yourself time to make sure you have not missed birds. Listen out for the distinctive call of both adult and young Buzzards, especially in good weather, with heat for soaring or a wind for birds to use to climb up in the air. If you see birds check for any distinctive moult patterns on old birds and sadly for distinctive ‘holes’ in the wings which may indicate they had been shot. 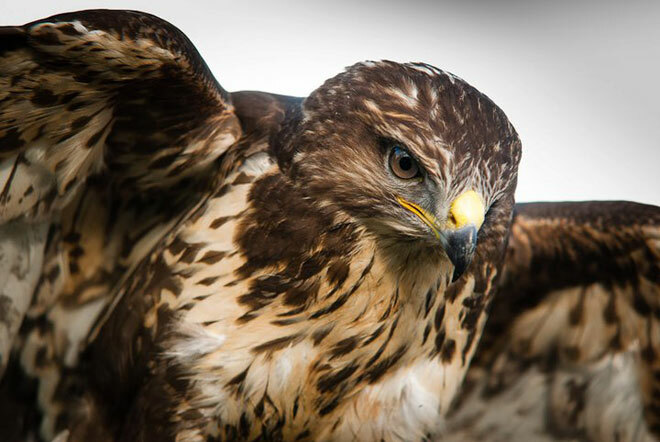 The shot birds should also be reported as other Buzzards may have already been taken out. With all this information a map can then be processed to show the worst areas where Buzzards have been removed.